Susan Lourenco of Machsom Watch will be speaking in Guildford on July the 5th at 7.30pm. MachsomWatch, in existence since 2001, is an organisation of peace activist Israeli women against the Israeli Occupation of the territories and the systematic repression of the Palestinian nation. 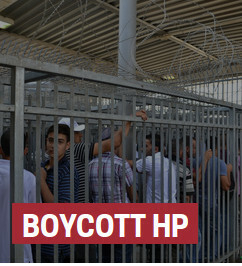 They call for Palestinian freedom of movement within their own territory and for an end to the Occupation that destroys Palestinian society and inflicts grievous harm on Israeli society. Below is the english translation of the text of a Haaretz interview with Susan Lourenco on 13/02/2011. Susan Lourenço has been a MachsomWatch volunteer for seven years, and is familiar with all the checkpoints across the West Bank. 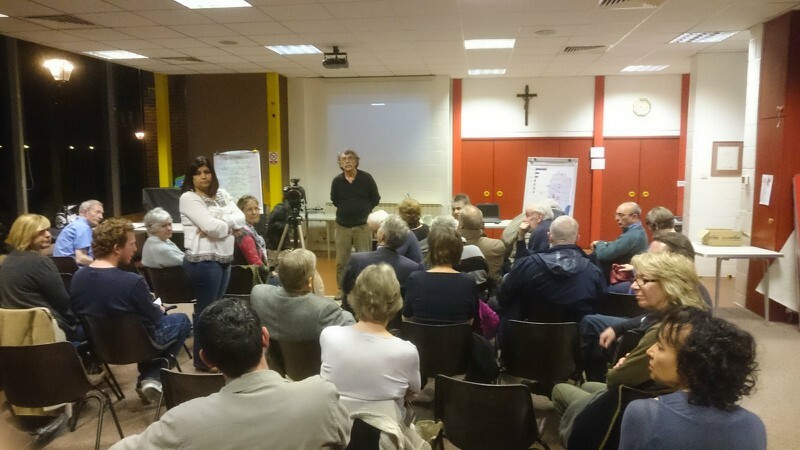 West Surrey PSC in conjunction with Zaytoun, Guildford and Godalming Peace and Justice Groups, and various Fair Trade groups in the area will be hosting a meeting with Palestinian farmers. The meeting is part of Fair Trade Fortnight and will take place at St. Nicolas Church Hall in Guildford on Sunday, March 13 at 7.00pm. 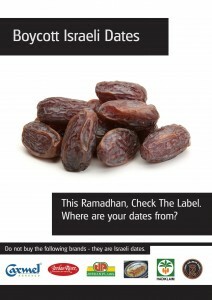 Below is some information about the 2 Palestinian farmers that will be speaking at the Event. women to learn more about overseas markets for the their produce. 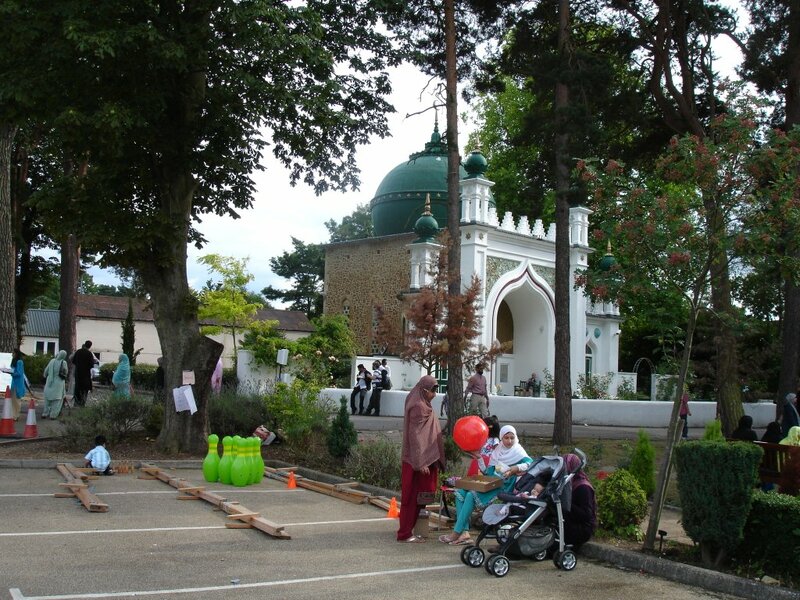 Organised by the Islamic Society of Surrey University. The Islamic Society of Surrey University held a 2 day Palestine Awareness event on Thursday 10th and Friday 11th of February. The event was very successful and culminated in an evening seminar including some excellent speakers including Dr. Husni Hammuda. 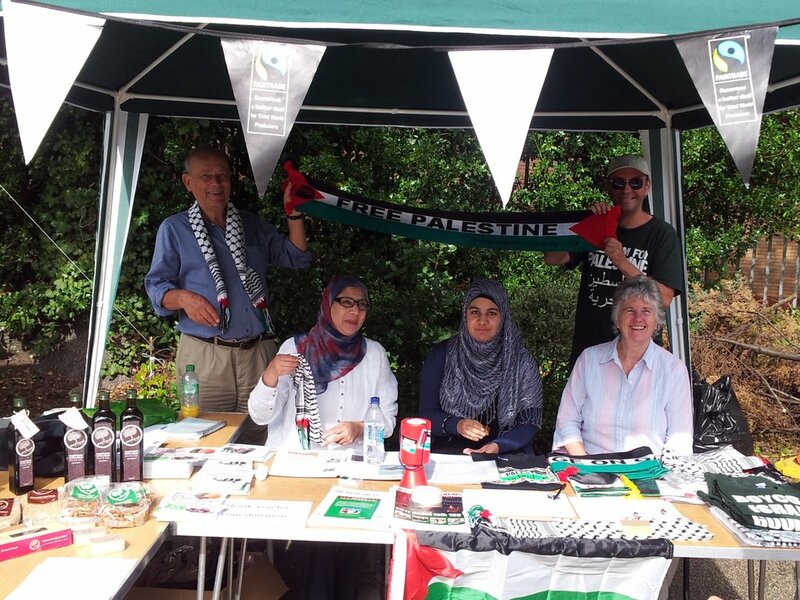 At the end of the seminar students were given advice on how to set up a Palestine society and a sign up sheet was provided. 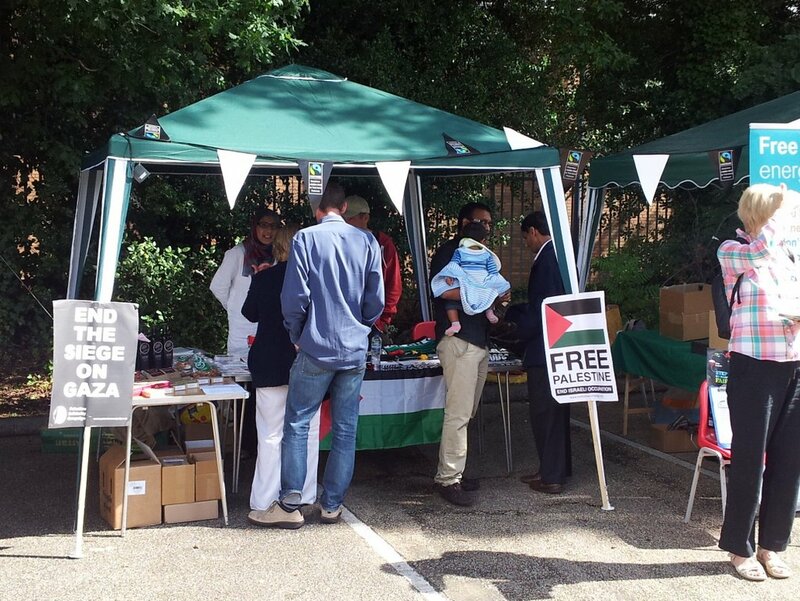 West Surrey PSC had a presence at the event over the 2 days providing students with fact sheets, merchandise and Zaytoun products. Thanks to Basel and James for organising Saturday's leafleting in Camberley. 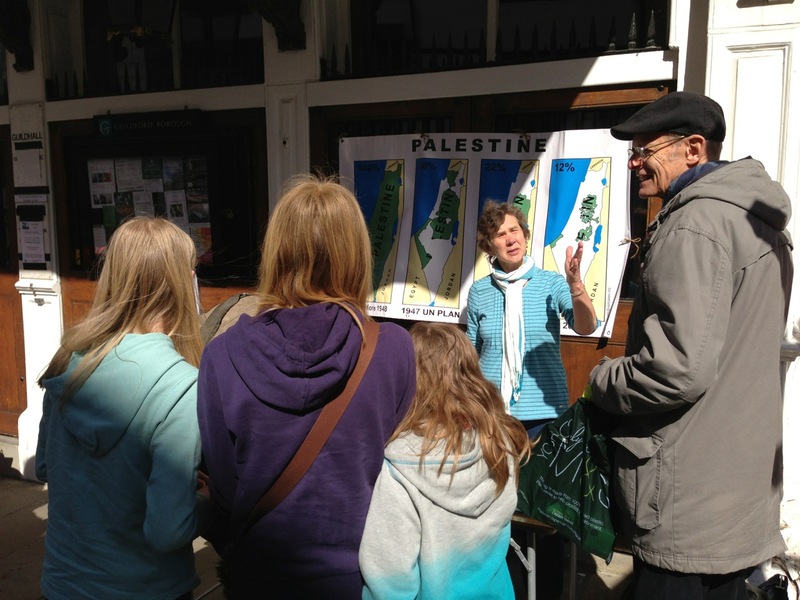 West Surrey PSC spent a couple of hours outside the main shopping centre encouraging local shoppers to boycott Israeli goods until Israel complies with International law.